Cycling on the road at any time can be dangerous, but particularly at night when you need to be visible. As we are nearing winter it’s important to make sure you can be seen on the roads at all times. 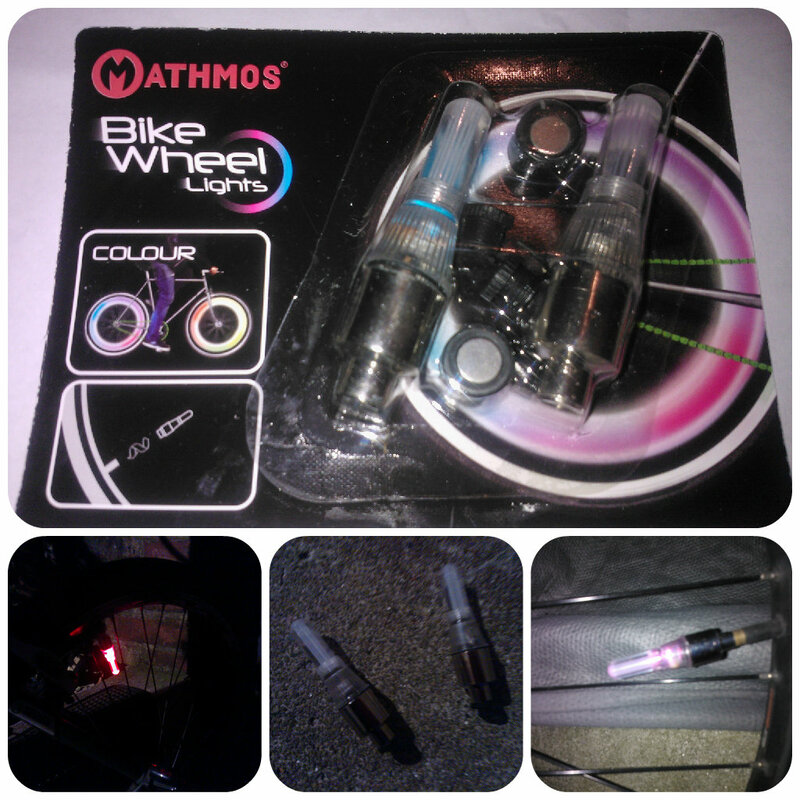 On looking through John Lewis’ cycling equipment you’ll find these rather interesting Colour Changing Bike Wheel Lights. Each pack contains two lights, one for each wheel and they simply screw on to the wheel valve. The lights are LED and are designed to increase visibility when it’s dark by creating a solid rim of light around the wheel as the bike moves along. The light also changes through a rainbow of colours as it goes around. My daughter was very excited to try these colour changing lights on her bike although she wasn’t really outside when it was dark enough for the full effect – perhaps when the winter evenings draw in she can test them out a bit more. My husband however was very keen to try these on his bike as he cycles to work everyday, and doing shift work travels at various times across the day. It so happened he was on a run of nightshifts when we received these so he eagerly attached them to his bike. I tried to capture the full circle effect of light which was incredible effective and certainly made him stand out, but the movement was too fast for the camera. The lights are designed to only be activated when you cycle in order to preserve battery life, although we did find this a little tempermental but overall a welcome addition to visibilty when cycling. He found himself to be a lot brighter on the road having these in addition to his normal front and rear lights and said they were very effective for use at night. Overall these are great addition to have on your bike as a cyclist with the added fun element of them changing colour. This entry was posted in Reviews and tagged bike lights, colour changing lights, cycling, john lewis, lights, review, wheel lights by Fiona Martin. Bookmark the permalink. What a brilliant idea, suitable as a fun item for the kid’s bikes and a much needed safety device for adult who cycle late at night.